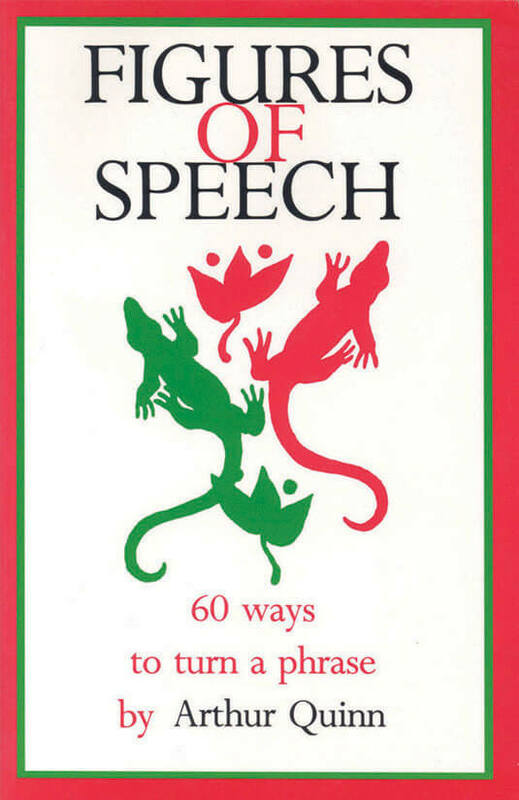 This book presents 60 of the most common classical figures of speech and gives examples from clasic literature of each. Memoria's Clasical Rhetoric contains Figures of Speech exercises at the beginning of each chapter. 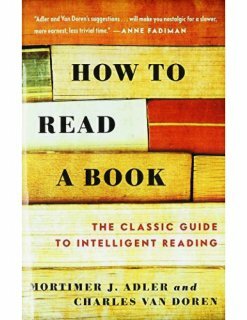 How to Read a Book contains clear and useful instructions on how to determine what kind of book you are reading, the four levels of reading, and how to read different kinds of books. 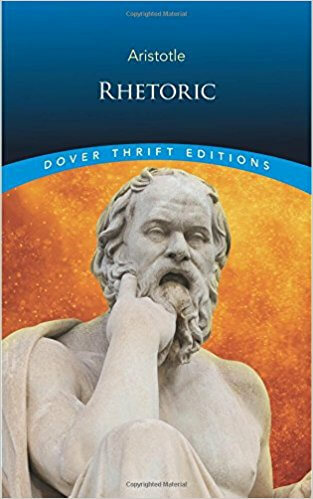 The principles in this book are applied directy to Aristotle's Rhetoric in Memoria Press' Classical Rhetoric. 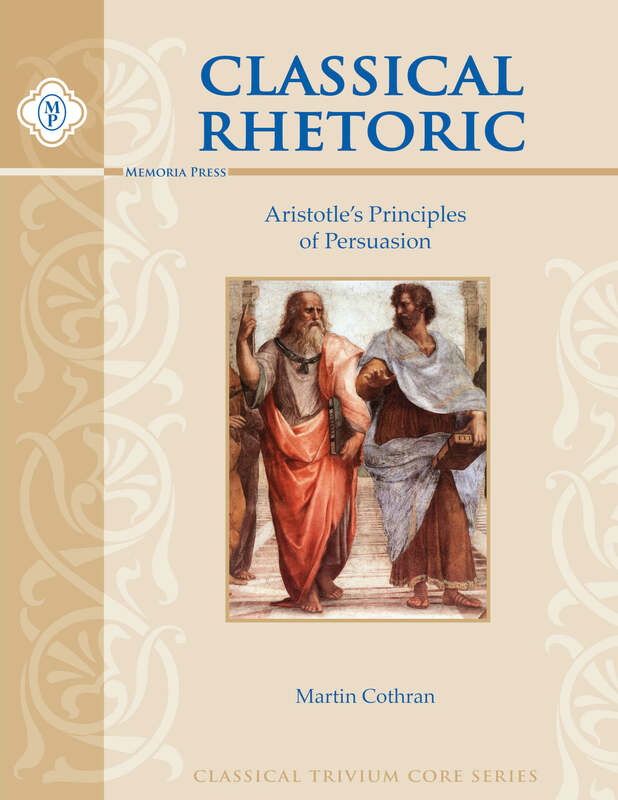 Martin Cothran’s Classical Rhetoric with Aristotle is a guided tour through the first part of the greatest single book on communication ever written: Aristotle’s Rhetoric. 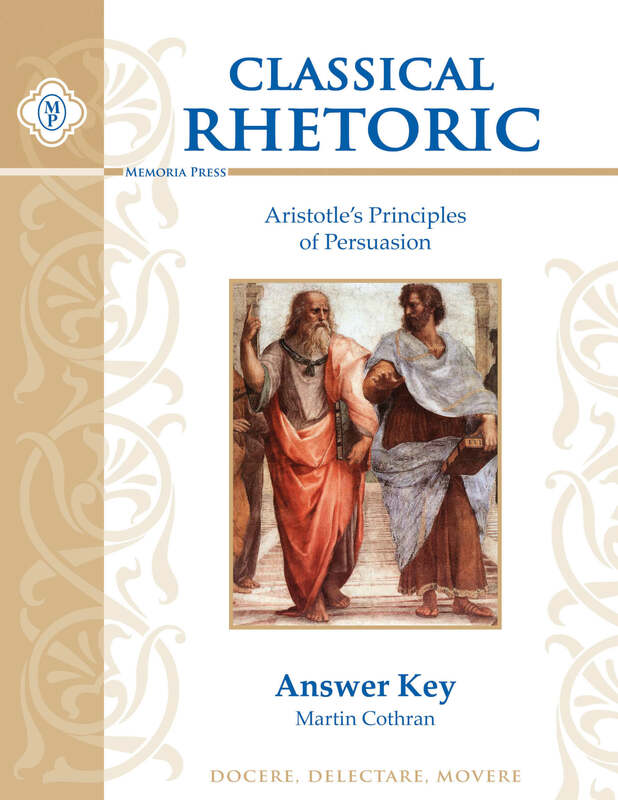 With questions that will help the student unlock every important aspect of the book, along with fill-in-the-blank charts and analyses of great speeches, this companion text to Aristotle’s great work will send the student on a voyage of discovery from which he will return with a competent knowledge of the basic classical principles of speech and writing. To the ancients, rhetoric was the crowning intellectual discipline. It took the knowledge the student had gained over the course of his years of schooling, and the understanding of logical principles gained from the study of traditional logic, and molded them into powerful tools of persuasion. To Aristotle, the art of rhetoric was the chief weapon in the service of truth. Unlike much of modern communication theory, Aristotle did not overemphasize technique. He understood that, although the construction and delivery of a speech or a piece of writing are important, there is a certain body of knowledge a person must have at his disposal in order to communicate effectively. That is why Classical Rhetoric is more than just a course in English or public speaking. It is those things, but it is much more. It involves a study of the fundamental principles of political philosophy, ethics, and traditional psychology. A student learns not only how to give a political speech, but also the elements of good character; not only how to give a legal speech, but also the seven reasons people do things; not only how to give a ceremonial speech, but what incites specific emotions under different circumstances. 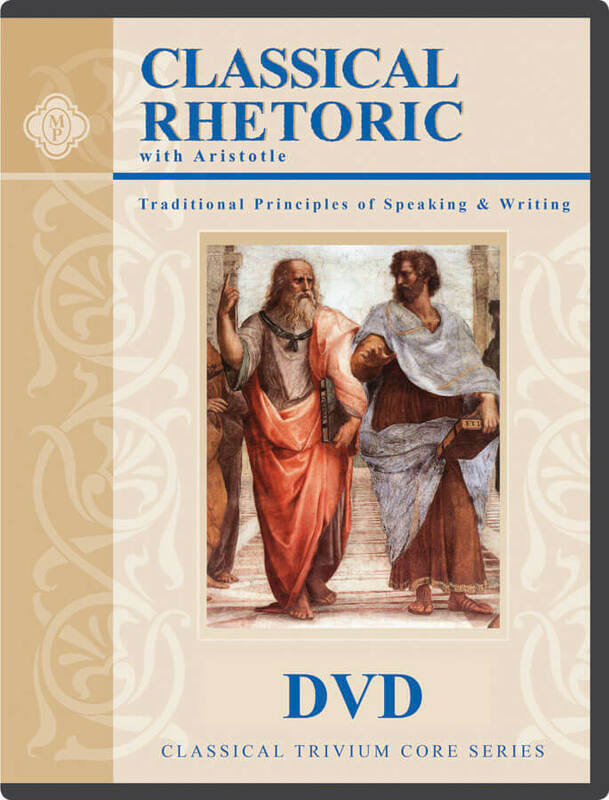 Classical Rhetoric also familiarizes students with three model speeches as examples of the three branches of classical oratory: The “Appeal of the Envoys to Achilles,” from Homer’s Iliad; the “Apology of Socrates,” from the dialogue of Plato; and Abraham Lincoln’s “Gettysburg Address.” Students will also be asked to analyze Marc Antony’s “Funeral Oration” from William Shakespeare’s Julius Caesar as an example of a great speech that defies categorization. 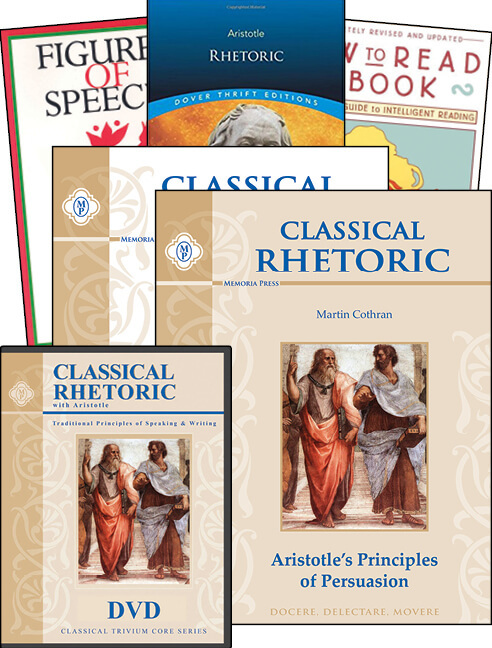 Like Traditional Logic, Books I and II, Classical Rhetoric, by Martin Cothran, was developed at Mars Hill, a cottage school for homeschoolers in Lexington, Kentucky. It has the same easy-to-use features, such as step-by-step daily assignments, giving students explicit instructions at every level. Like all the books in Memoria Press’ “Classical Trivium Core Series,” it is designed to make classical Christian learning accessible to all members of the Christian education community, at home and in the classroom. 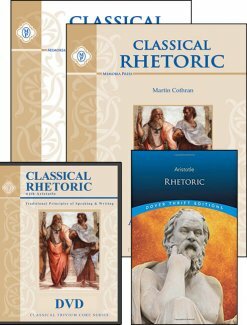 The Classical Rhetoric Complete Set includes Classical Rhetoric Student Text by Martin Cothran, the Answer Key, the Instructional DVDs, Aristotle’s Rhetoric, How to Read a Book by Mortimer J. Adler, and Figures of Speech by Arthur Quinn.